Last summer, Lan Li traveled nearly 7000 miles to introduce college freshmen in the south of China to computational simulation with nanoHUB tools. 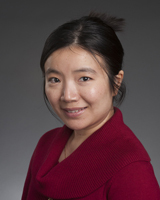 Dr. Li, Assistant Professor of Materials Science and Engineering at Boise State University, was invited by faculty at the Harbin Institute of Technology to offer “Summer Course in Special Topic”, a one-credit class lasting three weeks between the end of the spring semester and the beginning of summer vacation. The Harbin Institute of Technology Shenzhen (HITSZ) is located in Shenzhen (near Hong Kong), Guangdong Province, China. The course was organized by the Department of Materials Science and Engineering at HITSZ but offered to all interested freshman engineering students. 55 undergraduates in Materials Science and Engineering, Computer Science, Environmental Engineering, Civil Engineering, and other related disciplines attended. Faculty hosts at the university thought it might be difficult to run tools installed locally on Linux or Unix machines, so Dr. Li suggested nanoHUB as an option. 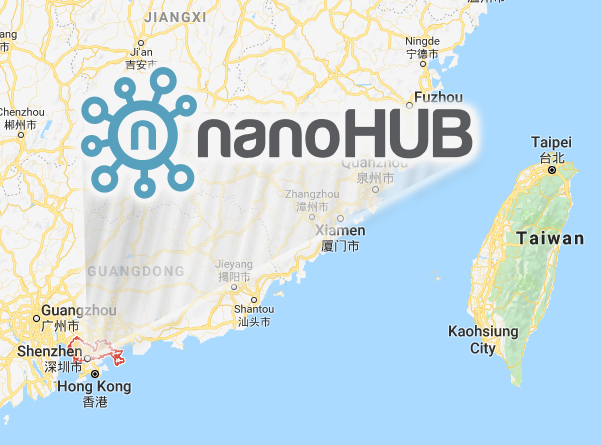 Others were concerned that nanoHUB might not be accessible in China due to the strict national firewall, but experiments proved otherwise. 60% of course time was devoted to covering basic materials science concepts such as atoms, molecules, and crystal structures, with the rest dedicated to computational simulation. Dr. Li demonstrated the SIESTA tool from the MIT Atomic-Scale Modeling Toolkit module to perform thermodynamic and kinetic calculations, electronic structure calculations, and mechanical property prediction. As an introductory-level course, the majority of the students had no computational science, modeling, or materials simulation background. “It was a very good experience. For students, it was the first time for them to learn what ‘material’ really means. They were so surprised to find that you can find the most stable structure of a material computationally without doing experiments,” Dr. Li says. According to Dr. Li, the freshman students found it easy to keep up with the materials being taught. They were also interested to learn that the tools on nanoHUB were free to access. Dr. Li hopes that students may be inspired to take materials science courses in their junior year, with her course providing an introduction. At the end of the three-week period, she asked students to write a course summary. Many students expressed interest in using nanoHUB in the future, especially those students studying materials science. Dr. Li will likely teach the course again this summer. She also plans to continue the discussion with faculty in China regarding the use of nanoHUB in their own courses and for research.